Crystal Collier: Young Adult Author: Radical Red Randal: EAT MORE CHEESE! Radical Red Randal: EAT MORE CHEESE! Most people probably notice the quirky reference at the end of each e-mail/letter/phone call, and shrug it off as a bizarre personality quirk. Occasionally one or two ask, “What’s with the cheese?” I give one of three responses: Cheese is the best food on the planet, cheese makes you happy, or cheese makes the world go round. Very few dig further. Those who do discover Randy. 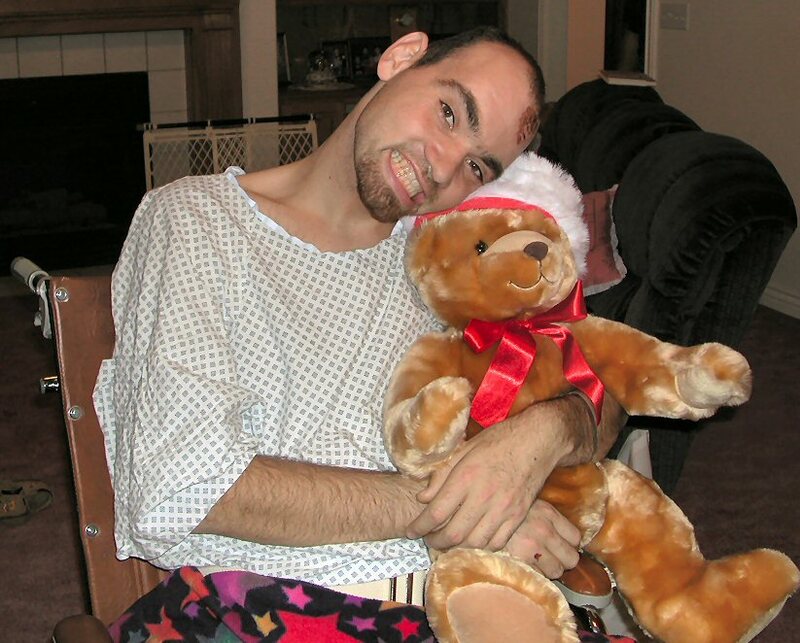 Randy was born with epilepsy. How bad? We don’t know, but by the time he was diagnosed at two years old, enough brain damage had occurred that he would never function higher than a 6 to 8 year old. He was my older brother. Everybody was Randy’s friend—especially those who looked at him funny, or he’d just met. “This is Lisa, my friend,” he’d introduce, or, “This is Eric, my friend.” He didn’t know the meaning of a social bubble, and he didn’t care. You could never be lonely or an outcast with Randy on the scene. He rocked out to Michael Jackson, and he’d beat you up on Thursday (always next Thursday), and he had to be wearing red. Later in life he decided he wanted to be a Ninja Truck Driver. He planned to cruise the country in his awesome red semi, and marry Shania Twain. And he loved cheese. His favorite meal consisted of a jiggling bowl of mayonnaise, topped with ½ lb of cheddar, microwaved to perfection. It was not uncommon to walk into the bathroom and find a 5 lb block of cheddar stowed behind the toilet for “later”. He slept in the room next to me. Even with a handful of medicine at each meal, seizures happened one to three times a day. He had to be locked in at bedtime, in case he decided to raid the cheese and had an attack while on the stairs. I listened as he rocked, fetal position on his creaky mattress, and hummed himself to sleep. In Special Olympics, he competed as a runner. His first race, he told Mom about his sore foot. “Why is your foot sore?” she asked. He put his locker key in his shoe—because he didn’t know where else to put it. He'd been running on his key the whole time! 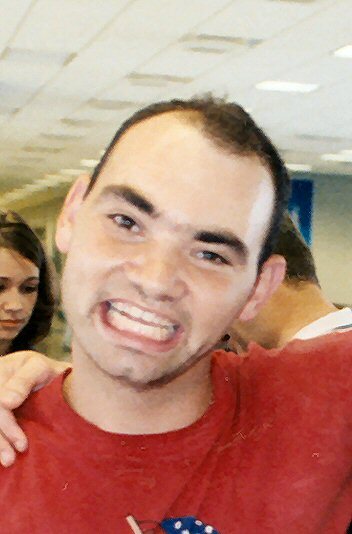 He matured, and my parents decided on a group home—a great place he could socialize with others in Special Olympics, and where he’d be able to live, to a degree, an independent life. He had twenty-four hour medical assistance and supervision; a dream come true! 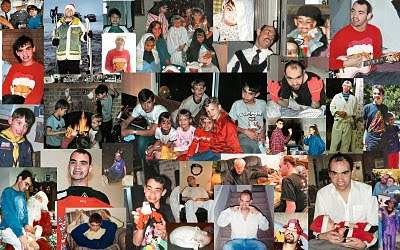 Because of this, the school district tore Randy out of his current school (for his senior year)—away from all the kids he’d grown up with, the ones who loved and understood him. We could tell he was sad, but that smile, ever giant, ever cheesy fooled the rest of the world. 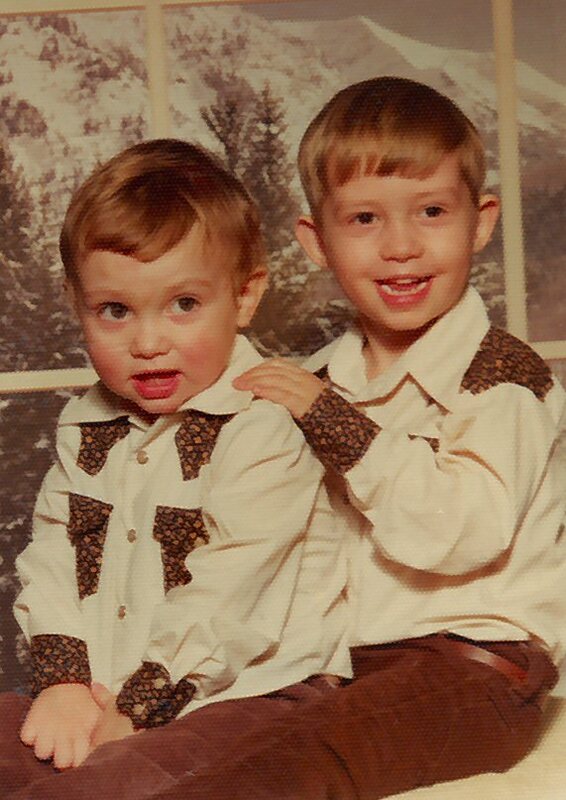 My brother was never an embarrassment. 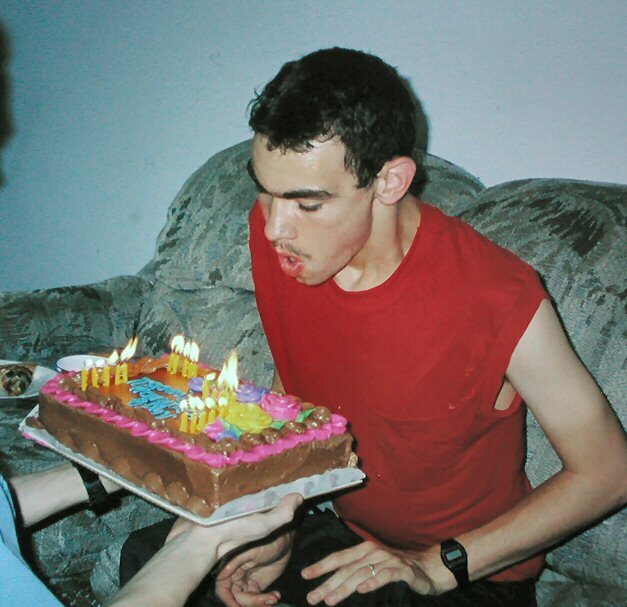 Even though he drooled and you couldn’t possibly eat a birthday cake he’d blown out (See the open mouth? ), you couldn’t feel bad about claiming him, and he always got down to the heart of the matter. While my husband, (then boyfriend), was away for two years, I dated a few guys. I even brought one home from college with a group of friends. Randy didn’t hesitate. “Hey Crystal, remember when I told Matt he could marry you?” Yeah, thanks Randy. Later in life he started calling me his big sister. He’d introduce me that way. Although the 6 year age difference couldn’t be mistaken, he did it to show his love and respect. 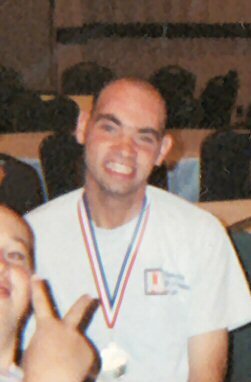 After one Special Olympics competition, he wore his silver medal everywhere. “Look Matt, I got second place.” My husband had the audacity to ask how many people had been in the race. “Two,” Randy replied. We chuckled. Then we learned the other runner had a physical handicap. Randy was proud of his metal because he let his “friend” win. At twenty-six, while experiencing a seizure, the back of his neck hit a kitchen counter. Paralyzed. He couldn’t walk anymore. We’d come to visit and he’d pull himself up on the table and make his way across the dining room. “I’m going to be running,” he’d promise, and we didn’t doubt it. His insurance got slashed. Therapy dropped to twice a week. Randy stopped making progress. Eventually he had to move to an assisted living facility, a place where he lay in a bed, day in and day out, waiting for people to visit. Every stop was a joy. It got harder after he couldn’t talk any more, or when we could tell his bedsores were causing him immense pain, but he always greeted us with a smile. He never complained. Of all the rotten things he’d been through, he never complained. He was always happy, and always eating cheese, or cheesing it. He never did get to fulfill his promise to run. On Christmas day, 2005—well after the festivities of the day, (because Randy would never interrupt us celebrating the Savior’s birth,) he finally let go. Gathered as a family, we rejoiced that he was free, that he could finally leave the suffering and jam out to Michael Jackson. Still, his death is one of the hardest things I ever experienced. We realized only after his passing, it was not us serving Randy all our lives. He was serving us. So you ask, why the cheese? 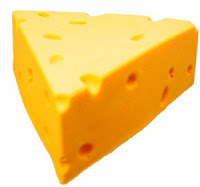 Cheese is the best food on the planet. Cheese makes people happy. Cheese makes the world go round. I guess I never got farther than your three favorite answers. I just really assumed you liked cheese :) I guess you did but your brother liked it more. I didn't realize all that had happened. I'm sorry and I hope we can all enjoy our cheese and be as happy as he was and make a friend everywhere we go. This was so nice. I just wanted to let you know that I read this, and it made me cry, but also happy at the same time. So beautiful! Thank you for sharing this. Beautiful Crystal. Glad to know you have such a great brother waiting for you. And yes, I did kind-of always wonder about the cheese. I thought maybe you loved Wisconson or Switzerland? Thanks for sharing, it was beautiful. It is great to get to know you a little more every time I read your blog! This is beautiful, Crystal. I am very sad and very happy at the same time. I am so thankful God gave Randy the opportunity to come into the world and touch so many people's lives. My step-daughter and I volunteered at the Special Olympic Winter Games in Austin. I played "Karaoke DJ" for all the athletes in one of the conference centers -- what an experience! They really were special, and that's what I love about the Special Olympics. It's not about what people can't do...it's about what they CAN do. And they all had hearts of gold, just like your brother. Thank you so much for sharing, and for bringing a tear to my eye (in a good way). BEAUTIFUL Crystal - your open heart, your writing. Thank you so much for sharing Randy with us. I don't understand why we suffer? Why Randy had to linger in such a painful way. What a beautiful smile he had. Crystal - I had no idea and I honestly thought it was just your corky self saying eat more cheese! LOL This story is so inspiring and I want to thank you soooo much for sharing it. It's beautiful! Thanks friends. I bawled while I wrote this, but some people are so precious it's selfish not to share. I love cheese too. It is the best food on the planet. I almost teared up at the end of the post. Great tribute to Randy, Crystal. Crystal-- This is awesome. You know we all really love Randy. Thanks for making me think about him and remember some of the great things, not the least of which is his big cheesy smile!! Golly Crystal, I wasn't prepared to bawl my eyes out. Now my family keeps asking me what's wrong with me. Thanks for writing from your heart.